> Tech News > Killapache: DDOS tool – Half of the Internet is vulnerable now ! Killapache: DDOS tool – Half of the Internet is vulnerable now ! Killapache: DDOS tool - Half of the Internet is vulnerable now ! The Apache Software Foundation has announced a denial-of-service vulnerability that affects all versions of the ubiquitous Apache web server, leaving up to 65% of all websites vulnerable. A unknown flaw in the code for processing byte range headers allows versions 2.2.x of the Apache Web Server to be crippled from a single PC. A suitable "Apache Killer" Perl script that impressively demonstrates the problem. How does killapache DDOS tool work? killapache sends GET requests with multiple "byte ranges" that will claim large portions of the system's memory space. A "byte range" statement allows a browser to only load certain parts of a document, for example bytes 500 to 1000. It is normally used while downloading large files. 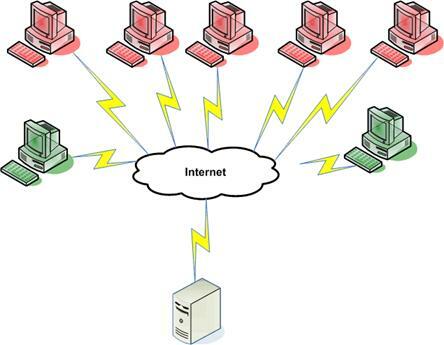 This method is used by programs such as download clients to resume downloads that have been interrupted; it is designed to reduce bandwidth requirements. However, it appears that stating multiple unsorted components in the header can cause an Apache server to malfunction. There is no patch yet released for this vulnerability on apache, but a few work arounds have been found. These have been posted by The Apache Software Foundation and can be used until a stable fix is released.The vulnerability works by exploiting a feature in web servers that gives you the ability to pause and resume your downloads. These days if you have to stop downloading something part-way through you can generally pick up where you left off and you don't have to start again from scratch.